LOS ANGELES – The grand jury transcript was unsealed Monday in the case of a Lancaster woman and her boyfriend, who are accused of torturing and murdering her 10-year-old son. Heather Maxine Barron, 29, and Kareem Ernesto Leiva, 32, have pleaded not guilty to charges that they killed Anthony Avalos and tortured him in the days leading up to his June 21 death. Los Angeles Superior Court Judge Kathleen Kennedy heard arguments from lawyers for the Los Angeles Times and members of the victim’s family before ordering that the transcript be made available to the public, though some exhibits that both the prosecutor and a defense attorney agree could be prejudicial will remain sealed pending a hearing set for Jan. 11. 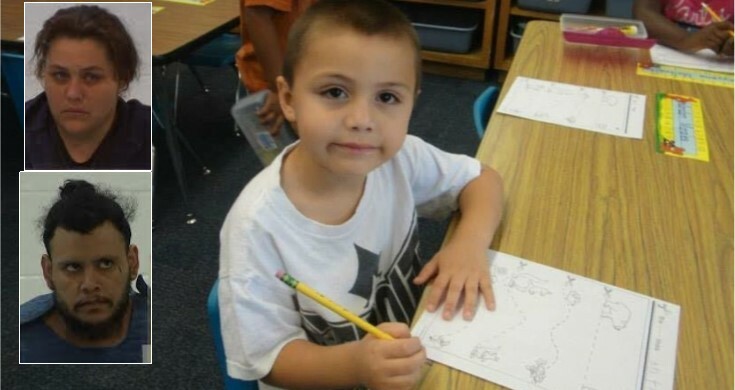 Leiva’s attorney, Dan Chambers, had objected to the release of the transcript, saying it could hurt his client’s chance for a fair trial, while Avalos family attorney Brian Claypool said the boy’s relatives had been waiting seven months for access to the autopsy report and other information and deserved to know what happened. Kennedy, who oversaw the widely publicized Grim Sleeper serial killer trial, ultimately agreed that releasing the transcript was in the public interest and would not make it impossible to find a dozen impartial jurors in a metropolitan area of more than 10 million residents. The judge noted there were several members of the jury pool in the Grim Sleeper case who had no knowledge of it, despite intense media focus on the killings of nine women and one teenage girl over the span of more than two decades. Lonnie Franklin Jr. was sentenced to death in the case. Hundreds of exhibits, including medical records, crime scene photos and other material, were also unsealed with the transcript, but photos and videos showing the victim’s injuries remain off-limits pending the January hearing. “All the exhibits should be open,” argued attorney Jean-Paul Jassy, who appeared on behalf of The Times. Kennedy — who was just assigned the case Monday and said she had not reviewed any of the evidence — said some of the photos might never even be seen by a jury, depending on their content. Following Kennedy’s ruling, Deputy District Attorney Jon Hatami highlighted a new sexual abuse allegation relevant to the case and told the judge his office may want to raise it during trial. He handed a two-page report to Chambers, whose client looked at it and then shook his head. Hatami refused to comment further on the allegation when questioned by reporters, even to confirm that Leiva was the alleged and only perpetrator. After the hearing, Claypool stood with the victim’s aunt and uncle and three young girls in the family who were all wearing T-shirts printed with the message #justice4anthony. Prosecutors allege the couple abused, beat, assaulted and tortured the boy, with more than a dozen allegations of abuse dating back to 2013. Court papers detail abuse that included whipping him with a belt and a looped cord, pouring hot sauce on his face and holding him by his feet and dropping him on his head repeatedly. Child welfare workers visited the home and the children were regularly interviewed and checked for signs of physical abuse, according to a county report. Reports of physical abuse were deemed unfounded or inconclusive, though social workers found some instances of general neglect. Barron — who gave birth to three more children from 2014-17 — voluntarily completed domestic violence and parenting programs, according to the report. But DCFS was no longer monitoring the family at the time of Anthony’s killing. The charges against Barron and Leiva include a special circumstance allegation of murder involving the infliction of torture. Hatami said a decision whether to seek the death penalty might be settled in March. The boy’s uncle, David Barron, was asked after the hearing whether he wanted the couple to face capital punishment. “As long as they’re not walking free on the streets, I’m fine with that,” Barron said. 10 comments for "Judge unseals grand jury transcript in Anthony Avalos’ death"
why punish the rest of us? DUMB comment! It’s like a figure of speech!! Get over yourself! Your the one who’s reply is dumb!!! I would rather have the garbage rot in a prison cell for the rest of their sorry lives. On the average, it costs $71,000 to incarcerate an inmate, if these two live for another 30 years, the total cost comes to $4,260,000. Isn’t it better to spend this money to hire more DCFS workers so this type of situation doesn’t happen again? You say this as if it is a simple either or proposition. Yeah pot them in general population. Boyfriend roomate, Bruce, mom’s roommate Large Marge can give them a splintered broomstick as a welcoming gift.